Naval technology has progressed through history from the simplest rafts to the complex, city-sized vessels used today. As each new innovation hits the waters, naval warfare was forced to adapt. This list comprises ten examples of naval vessels so innovative and effective, they have changed the face of ship design and naval warfare. The Kobukson, or ‘Turtle Ship,’ was the first ironclad vessel in the world. The vessel gets its name from the distinctive ‘shell’ of armor making up its roof. The roof was comprised of wooden planks topped with iron spikes making it a formidable defensive platform for ramming attacks. Turtle Ships were instrumental in defeating the Japanese navy attacking Korea during the 16th century. While Turtle Ships were not the main naval vessel used in the fighting, they were highly innovative for their time and changed how vessels were armored in the region. It would take nearly three centuries before a completely ironclad vessel would be used during the American Civil War making the Kobukson a truly innovative and influential weapon system. The HMS Victory is one of the most famous warships still afloat. The Victory was put into service in 1765 as a first-rate Ship of the Line for the Royal Navy. She was outfitted with 104 guns making her highly formidable against anything she came up against on the water. The Victory was the flagship of the Royal Navy under numerous commanders and saw many battles, the most famous of which was the Battle of Trafalgar in 1805 where a force of 27 British ships led by the Victory under the command of Admiral Lord Nelson defeated a superior force of 33 Spanish and French vessels. 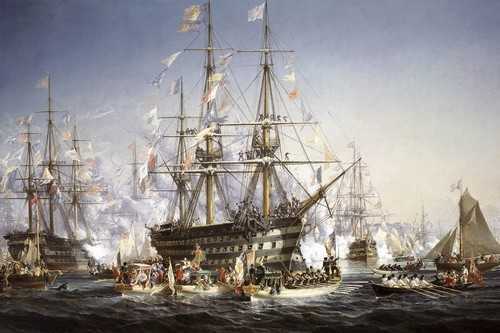 The battle was so uneven due to superior firepower and naval tactics, the French and Spanish fleet lost 22 of their ships without a single British vessel being destroyed or scuttled. The USS Constitution is the oldest floating warship in the United States fleet and can be toured as a museum like the HMS Victory. The Constitution, also called “Old Ironsides,” was one of the first capital ships of the United States Navy, which earned her place on this list due to the effectiveness employed during the War of 1812. Her successes in the war included the capture of numerous merchant vessels and the defeat of five British warships. The most notable victory came when she was engaged by the HMS Guerriere. The two ships were locked in combat until the Constitution finally destroyed the forward and aft masts leaving the Guerriere dead in the water. After transferring her crew to the Constitution, the Guerriere was set ablaze. Old Ironsides was one of the most successful ships ever deployed by the United States Navy having won 33 battles without ever taking a loss. The Napoleon was a 2nd Class Ship-of-the-Line for the French Navy. It came with 90 guns and an innovation never before seen in a battleship: a screw propulsion system. The introduction of a steam-powered battleship with a screw propulsion drive changed naval warfare forever. Within 10 years of its introduction, the French and British fleets had more than 100 similarly-driven vessels. The introduction of the Napoleon essentially ended the age of sail as the battleship was the last class of vessel outfitted with a steam propulsion drive in the 19th century. Nations began outfitting their existing ships with steam power while sacrificing the available deck space used for guns. Though future vessels would carry less firepower, they became more maneuverable and faster making decreased firepower less of a concern. The Confederacy was by no means the first navy to use submarines, but they were the first to use one effectively in combat. Submarine development had made little progress in the proceeding years, but the newly-laid CSS Hunley was the exception when introduced in 1863. She was built from a converted 40’ long iron steam boiler and affixed with a spar-torpedo, a 16’ rod with a torpedo/explosive attached. With an 8-man crew, the Hunley entered combat against the USS Housatonic, a 12-gun sloop, and charged the vessel. The crew of the Housatonic fired in vain at the submerged vessel only to see the water and armor deflect their bullets. The Hunley successfully hit and sank the Union vessel making it the first such attack in naval history. The Hunley never resurfaced and was likely damaged from its own attack. The HMS Dreadnought was such a powerful battleship it became its own class in the British Royal Navy. Nearly 30 similar ships were built before the end of the war, all of which were used to great effectiveness. The Dreadnought introduced an effective 12” gun with a faster rate of fire than previously designed weapon systems. No Dreadnought-class battleships were lost during the war to enemy fire, though one was sunk after hitting a mine. These ships were so feared by the enemy, their use in combat was primarily limited to psychological warfare. This was also due to the fear of losing them to the newly-developed torpedo given the high cost to field such a vessel. When aircraft carriers were first introduced, they were built from previously-designed vessels that were heavily modified. Her predecessor, the HMS Ark Royal was such a ship used during WWI. The HMS Ark Royal II was the first vessel designed from the beginning to be an aircraft carrier. Because of its design from the ground-up, it was a considerable improvement over previous attempts. She was able to support two hangars of between 60-72 aircraft comprising 6 separate squadrons. The HMS Ark Royal was often featured in media and propaganda during WWII, but sadly, she was sunk off the coast of Gibraltar by a torpedo fired from the German vessel U81. The USS Iowa was the first in a class of new battleships developed by the US Navy to accompany and protect their new Essex-class aircraft carriers. She was armed with nine 16” guns, twenty 5” guns, and several anti-aircraft cannons with a crew of 1,921. The Iowa was a truly devastating weapon and holds the record of being the largest, fastest, and most powerful battleship to ever be employed in combat. She earned the nickname “The Big Stick” due to her 16” guns in WWII and “The Grey Ghost” for her actions in Korea. The USS Iowa earned 11 Battle Stars during its service and was converted into a museum in 2012. The USS Nautilus holds the distinction of being the first nuclear-powered submarine to enter into service. The Nautilus was a pioneer of naval engineering, though she was never used in combat. Her successful testing and use of a nuclear power plant enabled her to break numerous records. She became the first vessel to make 200,000 miles while underway and then broke that record by achieving 300,000 miles. She was used in the Top Secret mission Operation SUNSHINE where she made way for the North Pole and became the first vessel to ever reach geographic north of 90 degrees. The Nautilus served the Navy well and was decommissioned and made into a museum open to the public in April, 1986. The USS Zumwalt was the first in a new line of Destroyer classes for the US Navy. The Zumwalt was designed to replace the Iowa class battleships retired in the 1990s and is capable of stealth operations and houses an ‘infinite magazine’, which allows for continuous fire as ammunition is brought onboard. Its advanced gun system is capable of hitting targets 72 miles away making it a formidable weapon system. Its strange design is what makes the Zumwalt unique among the world’s navies. Her trapezoidal shape confuses enemy radar systems into thinking she is a much smaller boat. The cost of the Zumwalt was in excess of 3 billion dollars and the less-expensive DDG-51 class destroyer may be used in its place due to cost concerns. Even with the Navy only fielding two such vessels, its design and capabilities have stepped up the game for destroyers in modern navies. The USS Gerald R. ford represents a new class of aircraft carriers (supercarriers) being developed by the US Navy. When it is finally launched in late 2016, the Ford will be the most technologically advanced vessel ever deployed on the water. 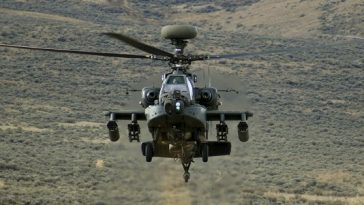 Advancements in aircraft-launching technology have been included as well as innovations in aircraft recovery systems, which allow the Ford to launch 25% more aircraft per-day than the previous Nimitz class carriers it is replacing. Many of her capabilities and improvements are classified, but the USS Ford will operate with fewer crew (500-900 less than Nimitz class ships) and will have an increase of approximately 150% electrical power generation and distribution over previous models.